There are enough things to worry about every day and termites should not be one of them. At Cooper, our job is to ensure that your home is termite-free and TermAware monitors are a great way to protect your greatest investment. After we install our TermAware™ monitors, our program includes 4 regular visits to your house throughout the year. If we find termites in one of our monitors or in your home, we will treat the problem as necessary and return monthly until the problem has been eliminated. 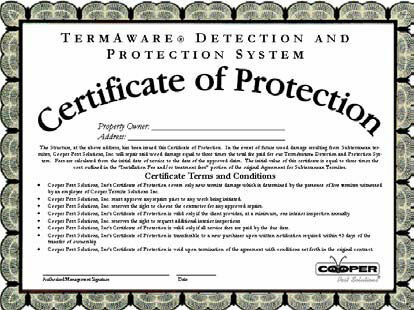 TermAware includes a transferable Certificate of Protection for as long as your own your home. The goal of TermAware™ is to find termites and eliminate them before they ever reach your home. When we detect termites in a station or in your house during one of our regular inspections, we will treat the problem at no additional cost to you. The cost of treatment for active termites in your home is only a one- time expense when you are enrolled in our TermAware™ program. The value is even greater when you begin a preventative TermAware™ program. Once we have determined there is no pre-existing termite condition on your property, any treatment that is necessary is free. TermAware™ Certificate of Protection is valid six months after the initial treatment. This protection is valid as long as the TermAware monitoring program is in effect. 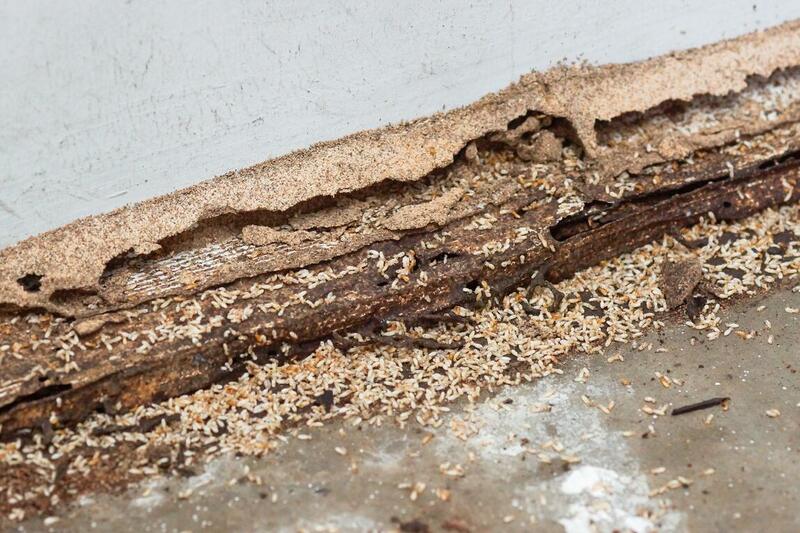 The Certificate of Protections functions as insurance against termite damage that may occur from a new termite infestation and will cover necessary home repairs. Already have an existing termite agreement with another company? Contact us to see how to switch to TermAware™.